A short history of sharpshooters, marksmen and snipers. Throughout history, the best marksmen in any military force have been employed as marksmen or sharpshooters, and equipped with the best available weapons. The German states made the first serious use of sharpshooters on the battlefield during the Seven Years’ War in the 18th century. Some of these talented riflemen were then employed as mercenaries in America, where the tactical use of the rifle in wooded terrain was valued. By the Revolutionary Wars, American riflemen were formidable, able to blend into the landscape and take out targets at long range. Their potential was noted by the British who began to train rifle units; during the Napoleonic Wars, the Green Jackets were the elite of the British army. The mid-19th century saw the development of optical sights, meaning that the units of sharpshooters raised in the Civil War were even more lethal. The accuracy of German sniper fire in the trenches in World War I provoked the British Army to create sniper schools, manuals, and counter-sniping tactics. However, lessons were not learned and the outbreak of World War II saw almost all major powers unprepared for sniping or counter-sniping, meaning that talented marksmen like Simö Häyhä were able to accrue massive scores. In this accessible introduction packed with firsthand accounts, sniping expert Gary Yee explores the history of the marksman, his weapons and tactics from the flintlock era through to the present day. Gary Yee has worked as a law enforcement firearms instructor, range master and as an armourer. A guest curator for the San Francisco War Memorial Veterans’ Building firearms collection, he recently curated and conserved La Veta’s Francisco’s Fort firearms collection. He has published internationally and is a life member of The Company of Military Historians, the National Rifle Association and the National Muzzle Loading Rifle Association. 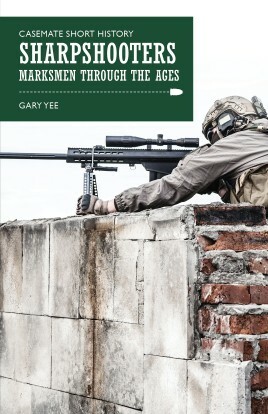 "Gary Yee sets the record straight with a brilliant account of marksmen through the ages, since the use of rifles and guns became prevalent."